Sterilised cats tend to gain weight. Obesity is related to many problems, such as diabetes, heart diseases, thin fur and reduced mobility. Special food for sterilised cats must contain less calories, fats and carbohydrates, and more proteins, fibre and high levels of essential nutrients. 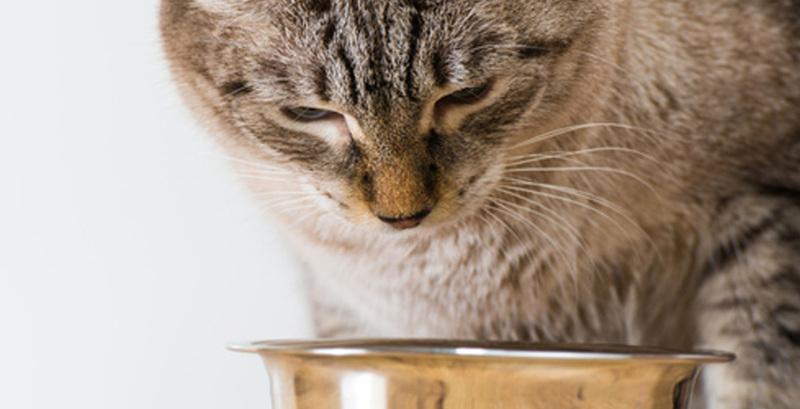 A good level of pH in urine will prevent your cat's urinary tract from developing potential disorders. Sterilised cats are three times more likely to gain weight, due to an increased appetite, fewer energy needs and a reduction of physical activity. Weight gain may be reduced by going on a low-calorie diet, increasing physical activity or a combination of both. Reducing food portions is not a solution, since it leads to nutritional imbalance and hunger. Thus, the use of special pet food for sterilised cats is the best way to prevent weight gain. This type of food contains less calories and a higher concentration of nutrients, which reduces energy by 20% without decreasing food portions or nutrient intake. The weight of cats must be monitored and food portions adapted to their real needs. Overweight cats run a higher risk of suffering several illnesses, such as diabetes, caused by their low sensitivity to insulin, high blood pressure, reduced mobility and fur and skin problems. Besides gaining weight, male cats may run a higher risk of suffering problems in their urinary tract after being neutered. 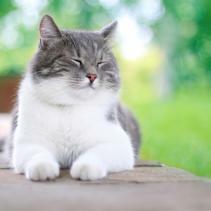 Let us review some nutritional advice that may help to keep neutered cats in good health. A low-fat diet is the most efficient measure to reduce the intake of calories, since fats have twice as many calories as carbohydrates or proteins. Essential fatty acids are necessary and beneficial for joints, skin and fur, and also to reduce oxidative stress. High-fibre diets reduce the energy of food and make cats feel full. High-protein diets keep cats' muscle mass balanced without boosting fats and improve their sensitivity to insulin. Low-carbohydrate diets reduce glycaemic index and increase insulin sensitivity. Nutrients such as essential fatty acids, zinc and biotin are essential to keep the skin and fur healthy. The pH content in food must match the pH levels in urine. 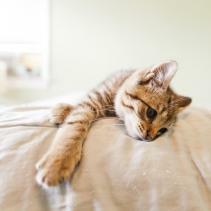 Follow our recommendations to prevent your cat from gaining weight after being neutered. Keeping your cat fit is not only an aesthetic issue, but a question of health.